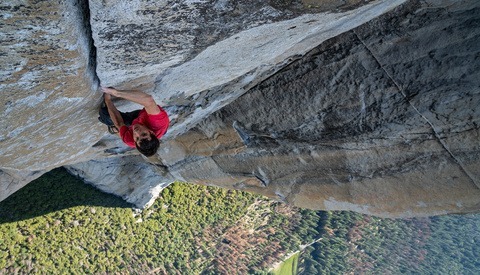 With their multi award-winning documentary Free Solo coming to streaming platforms next month, the filmmakers have described what went into capturing a 3,000-foot ropeless ascent up on of the world’s most iconic pieces of rock. From the interview, it seems that Chin and Vasarhelyi made the perfect team for documenting climber Alex Honnold's remarkable feat. Building on their existing close friendship with Honnold, Chin was able to focus on many of the technical elements and the physical details of what went into the climb. 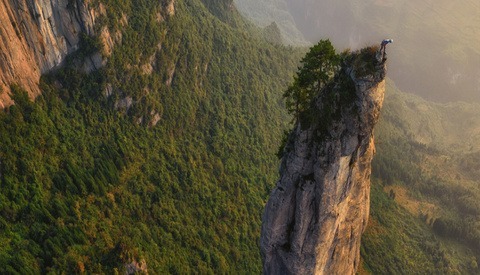 Vasarhelyi, by contrast, talks extensively about what makes Honnold unique as an individual, exploring the emotional and psychological aspects of the climber’s relationship with the challenge. Documenting one of the world’s greatest athletic achievements presented a number of logistical challenges and relied heavily upon using cinematographers who have extensive experience of hauling themselves and their gear up and down vertical cliff faces. Managing camera equipment in such exposed locations is a challenge; having also to deal with hundreds of feet of rope and all of the technical gear required for climbing requires some serious strength and endurance. Simply ascending a fixed line can be like running a marathon, and it’s not the case that your assistant is simply going to pass you your camera once you’re in position. If you’re interested in reading more about what it was like to film a close friend who at any moment could plummet to their death, be sure to check out Fstoppers' own interview with Jimmy Chin from last year. Oh man this makes me shiver. But so good! Hairy stuff! Saw the movie today with my wife. The documentary is really well made and amazing to watch. If you have a chance, please watch it in an IMAX theater.